Dance Production | AYC - Auburn Youth Centre Inc.
Annavi is leading a dance group. Learn, have fun, let yourself go and express yourself through dancing to the music of Afrobeat’s. If you're concerned about anything or just have some questions, send us a message and see how we can help. 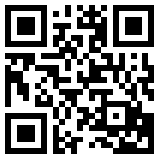 Scan the QR Code, or click it to auto-detect your device type.